The secret of stunning beauty of leading models and actresses in the world has been revealed: microblading and permanent makeup. These are extremely popular procedures among women who have make up allergies, have difficulty applying cosmetics or wear cosmetics all the time. Also, women with health conditions, such as alopecia or hair loss from chemotherapy, can be helped by microblading or permanent makeup. Microblading, also known as eyebrow embroidery, is a treatment that involves two elements: first, a manual process of implanting pigments underneath the skin and second, the addition of fine and thin hairstrokes to eyebrows to achieve the desired fullness and shape. This treatment gives the most natural result for a full, defined eyebrows. Permanent makeup, which includes powdered eyebrows, eyeliners top or bottom, lip liner or full lip colour, is done with a machine that is specially made for cosmetic tattooing. A regular body tattoo is performed using power tools and heavily coloured ink with the colours going deep in the skin and staying for a lifetime. 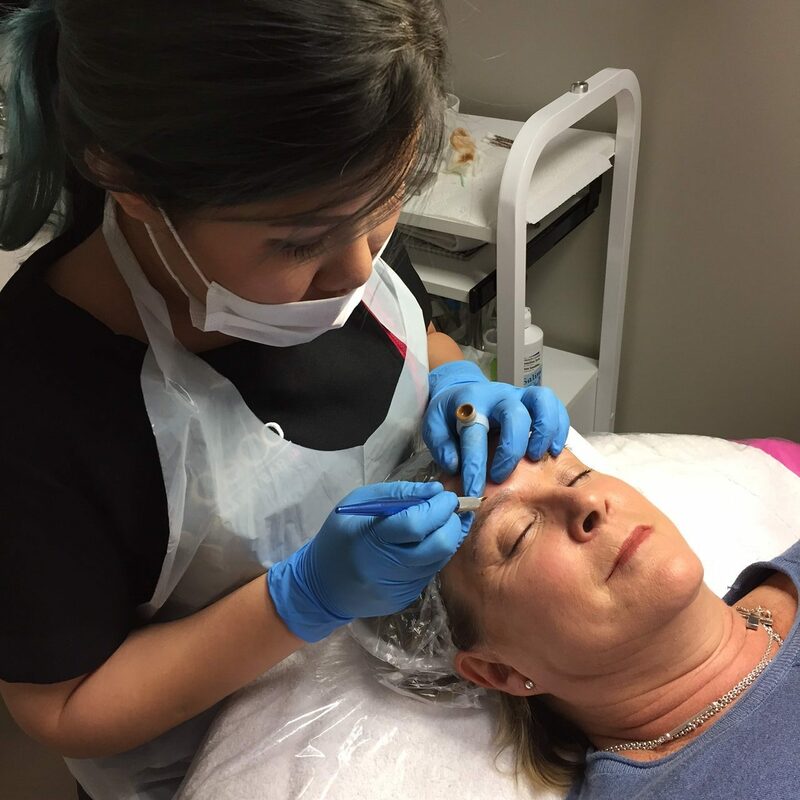 On the other hand, microblading and permanent makeup only work on the first layer of the skin (the epidermis) and use natural ingredients that are FDA approved. 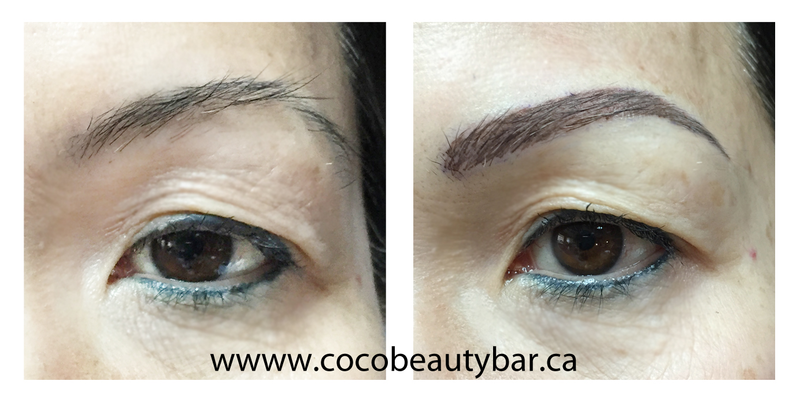 The tattoo will slowly fade away – about a year or more for microblading and 3 to 4 years for permanent makeup. However, retention varies for each person and touch ups are sometimes necessary to maintain the shape or colours, especially for Microblading. A highly skilled cosmetic tattoo artist will be able to advise you about a shape that will compliment and enhance your natural features, as well as a colour that will work well with your skin tone and skin type. Choosing colours for your eyebrows should not be completely based on your hair colour since that can be changed any time. Instead, ask your technician for advice to get your desired colour – this will ensure that when the tattoo heals and starts to fade, no “funny”colour like blue, red, purple or even green shows through! Go to a spa that has an esthetician who is certified in permanent eyeline/tattooing and arrange for a through consultation where before, after and healed photos can be checked. This will also help you find out if you’re a candidate for this type of treatment.